Whisk together the quark, sunflower oil, sugar, egg and milk in a large bowl. Add the salt, baking powder and the flour. Knead the dough by hand and add more flour if the consistency is not ‘firm’ enough. Roll out the dough to about half a centimetre thick and cut out into Weckmann (or gingerbread man!) shapes. Prepare baking tray by buttering or lining with parchment paper. 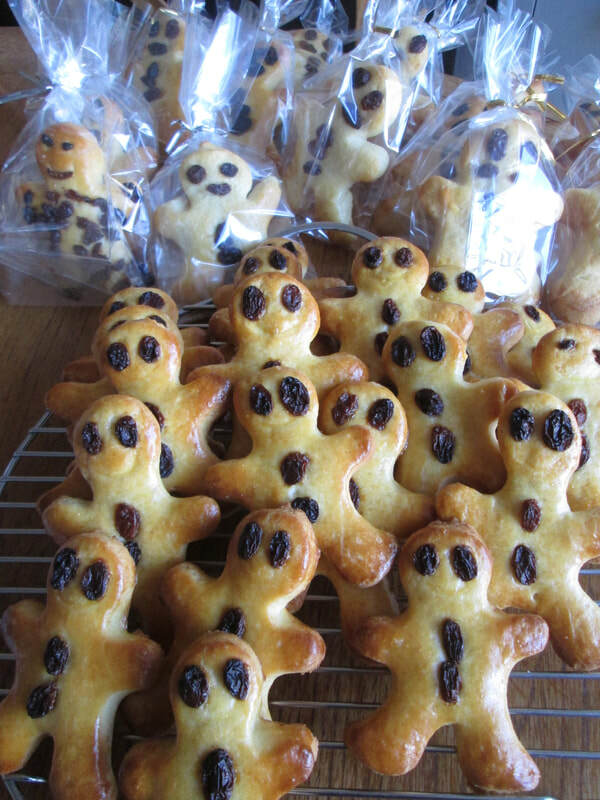 Place the doughmen on the tray and brush them with egg yolk; use raisins as buttons and eyes. Bake in preheated oven at medium heat (160 C) for 10-15 mins or until golden brown. If possible, when cooled individually wrap the doughmen in cellophane to keep them fresh.